I'm trying to find clients so I can work from home. Should I work somewhere first and get some experience. What do you recommend? Thank you for your time! I would recommend going out and working for a while before attempting to work from home. That allows you to get some good experience, and hopefully develop some good contacts. 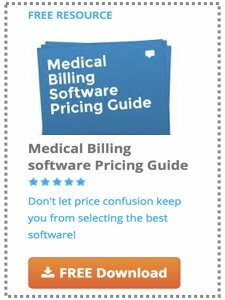 Billing is the kind of job that a lot of it can be done remotely - or from home when you can log on remotely - and with most practices you can now. It can be hard convincing a doctor or office manager to give you a chance to work from home until they know you and trust you to get the work done. And hopefully you can find a good employer who will allow you to gradually phase in working from home. They may also be reluctant because of patient privacy concerns (HIPAA) and allowing any patient information to be taken out of the office. You may also consider applying to any local billing services you can find. They may also be receptive working from home. That's how I got started and it was a better environment than working in a doctors office.